Successfully Added Teclast X10 Plus Tablet PC - Android OS, Intel Cherry Trail CPU, 2GB RAM, 32GB Storage, 10.1 Inch HD Display, 7200mAh Battery to your Shopping Cart. The Teclast X10 Plus tablet PC with its Intel processor and 2GB RAM is a surprisingly cheap tablet with a stellar performance. Its metallic body in white and gray give it a sophisticated and elegant appearance while the contoured edges let is sit comfortably in the hands. At 630 grams the X10 tablet is fairly light and portable so you can take it with you without feeling weighed down. This tablet features a wide 10.1-inch capacitive display that has a 1280x800 resolution making it the perfect complement to your movies and media. Under the hood is an Intel Atom 64Bit quad-core CPU that benefits from burst technology and the HD Gen8 GPU will render games and movies in picture perfect quality. Running on an Android 5.1 operating system brings a familiar user-friendly interface with a wealth of support and apps to choose from the Google Play store. The Teclast X10 benefits from OTG support as well as having an HDMI output and ample connectivity for peripherals between USB ports and Bluetooth. A magnetic interface port lets you quickly and effortlessly turn this Android tablet PC into a full laptop PC with an elegant external keyboard (sold separately). With 32GB of internal storage and a micro SD card slot offering 128GB of expandable memory, there will be no shortage of space for all your media, apps and games. 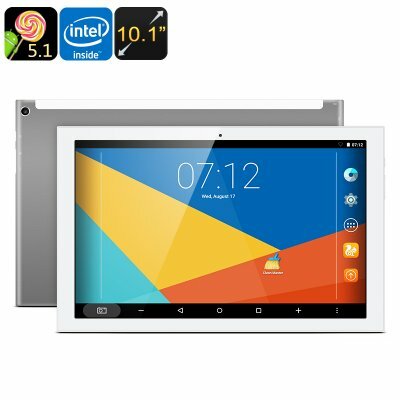 The Teclast X10 Android tablet PC comes with 12 months warranty, brought to you by the leader in electronic devices as well as wholesale Android tablet PCs..